It is important to protect your investment using the best decking oil for the job. 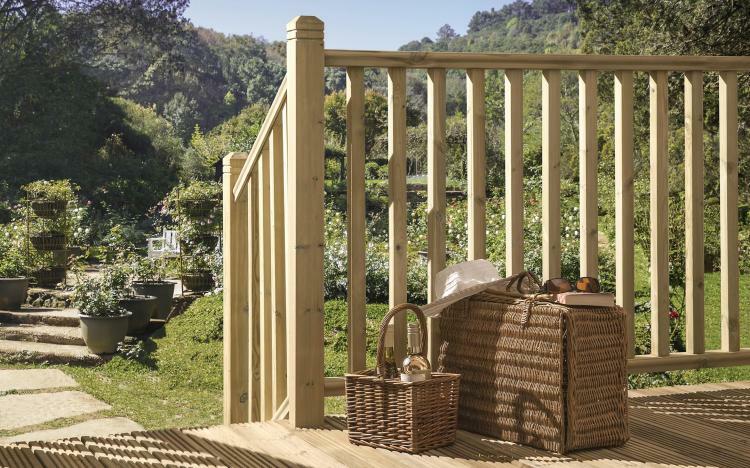 Decking oils help enhance, nourish and protect softwood and hardwood garden decking from weathering, wear, mould, algae and wood boring insects. With so many decking oil products available on the market, it can be very overwhelming pinpointing the best decking oil for the job. Choosing the best decking oil will depend on whether your deck has been treated previously, the type of deck you have, how you want your deck to look and your budget. Is it a new deck that needs finishing, or an old deck that needs refinishing? Do you want to retain the natural colour of your deck or are you looking to achieve a new colour and look? Do you require UV resistance from the sun? What about protection against mould and algae? Do you require slip resistant oil? These are all factors that need to be considered. Whichever product you choose, try and match the features of the product against your requirements. For example, if your garden is regularly in the sun, you will likely require oil that protects your deck from UV rays. If you live in a wet climate – which is the sad truth for people living in the United Kingdom – moisture-repellent oil will be a must. This article looks at the different types of decking oil available. If you are looking for a transparent product that will sit on your existing surface and protect it without affecting the colour, clear decking oil will be your best bet. Clear decking oil slightly darkens the wood while enhancing the natural grain and character of each board. We recommend that you purchase oil that filters UV rays from the sun. These rays will dry, crack and turn your decking grey over time which will result in more maintenance work in the long run. Clear decking oil typically comes with very little in the way of UV protection so be careful. Top tip: If you are treating a new deck, wipe over a section with a damp cloth to see what the decking will look like with clear oil brushed on. Coloured decking oils are ideal for those looking for a new deck aesthetic and a great way to restore an old, tired looking deck. Coloured decking treatments typically provide higher UV resistance due to the darker colour pigments which makes this type of oil perfect for gardens that regularly see the sun. Ronseal Decking Oil - Ronseal is an all-in-one, solvent-based decking oil for both softwood and hardwood decking. Offering all-year-round protection, this oil repels moisture, helps prevent mould, mildew and fungal growth, contains UV filters and nourishes the timber to reduce warping, swelling and splitting. Ronseal Decking Oil is a long-established favourite that is quality. Osmo Decking Oil - Osmo is a premium grade decking oil from Germany that is designed to enhance and protect softwood and hardwood decking board. This oil can also be used on other wood-based garden furniture and can be used in conjunction with Osmo Anti Slip Decking Oil if required. If safety is a priority or your decking is prone to mildew as a consequence of the damp weather, we recommend treating your decking with an anti-slip oil. This particular oil contains active anti-slip micro-beads - invisible to the eye - that stick to the surface and improves grip between shoes and the surface of the wooden decking. Osmo Anti-Slip Decking Oil - A high quality and reliable anti-slip decking oil for all garden decking. You are required to use this oil in conjunction with clear or coloured decking oil. What Is The Best Decking Oil? As previously mentioned, choosing the best decking oil will depend on whether your deck has been treated previously, the type of deck you have, how you want your deck to look and your budget. Previously finished decking will need to be cleaned beforehand; old paints, varnishes and other coatings must be removed completely, and oil-based treatments or stains cleaned lightly sanded. If your garden is regularly in the sun, you will likely require coloured oil that protects your deck from UV rays. If you live in a wet climate, you will most likely need a moisture-repellent oil with anti-slip. Top tip: It is important to clean previously finished wood decking. 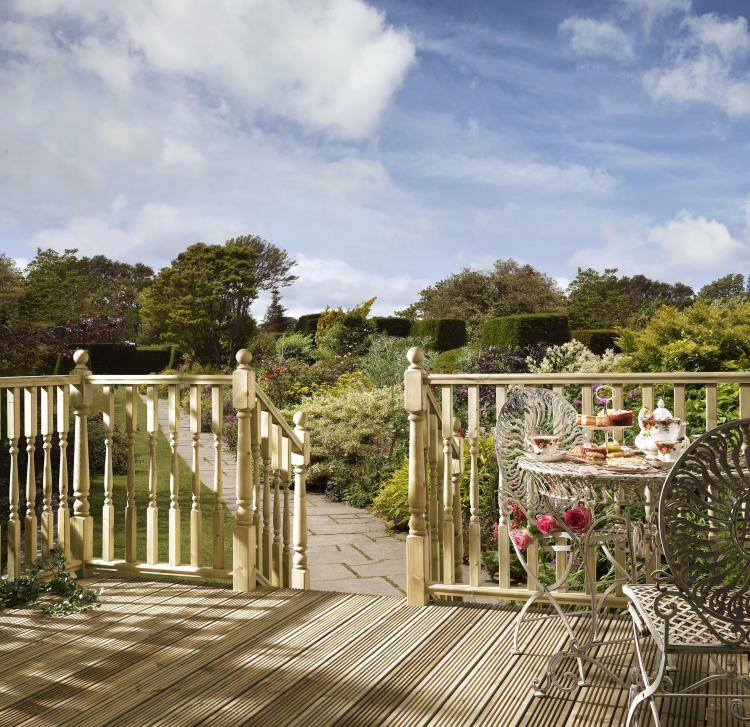 Decking oils cannot be absorbed if the decking has been already treated with a decking paint or varnish.